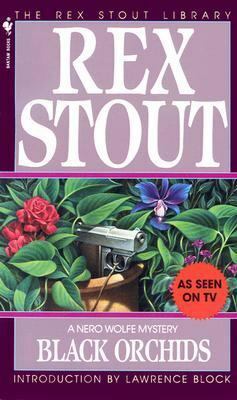 In this two-story Nero Wolfe adventure, we first find his man about town assistant Archie Goodwin doing some serious legwork visiting the Flower Show at Grand Central Palace day in and day out. The reason: a unique set of hybrid black orchids grown by Wolfe’s orchid-loving friend Lewis Hewitt on display on the fourth floor. They are not out and out black in color, Archie reports, more like the color of coal, and no, he can detect no sign of withering on any of them.